Want another way to add that anti-aging miracle ingredient, Niacinamide, to your routine? Similar to our outstanding CSRx Transforming Infusion, 10% Niacinamide Concentrate, CSRx Transforming Infusion Toner includes 3% Niacinamide plus Kakadu Plum, Bilberry, Aloe Barbadensis, Chamomile, Willow Bark and Licorice Root Extract. PLUS, Biomimetic Peptide Complex which imitates growth factor formulas to increase cell synthesis and renewal. Our fabulous toner repairs skin and helps to reverse premature aging. The springy resilience seen in younger skin is restored after this niacinamide-enriched, alcohol-free formula is used regularly. Wondering why we’re so hyped up on niacinamide? Here are all the impressive ways it transforms your skin. 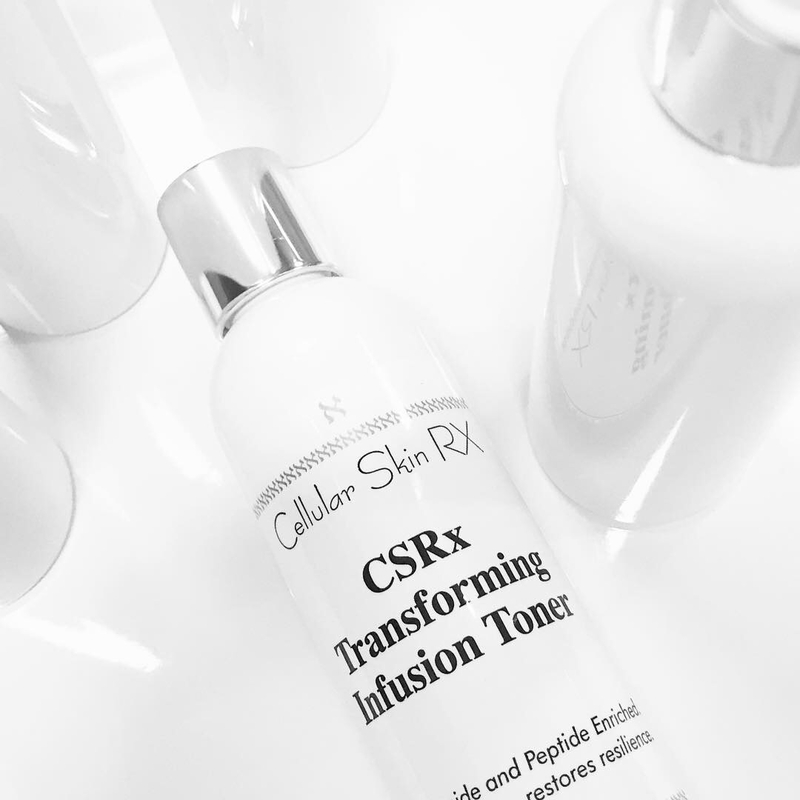 So what can you look forward to after using our CSRx Transforming Infusion Toner? Add this toner as a great prep step in your anti-aging skincare routine after cleansing. May be used with our Antioxidant Perfecting Toner to add ubiquinone to your skin. Just apply both on a cotton pad and sweep all over the face, neck and decolletage. Does not make skin sun-sensitive. However, we recommend daily sunscreen use year-round. In the MORNING, after cleansing apply to cotton pad and gently sweep over face, neck and decolletage. Follow with proper serum(s) then moisturizer, if needed, and daily sunscreen. If you already use Antioxidant Perfecting Toner, add this Niacinamide-enriched toner to the same cotton pad. Your skin will receive its daily vitamin requirement of Ubiquinone and Niacinamide making it happy indeed! If your cotton pad is still damp with toner after sweeping over face, neck and decolletage, use the remainder on the backs of your hands to help eliminate age spots and impart resilience for a younger look. Follow with CSRx Transforming Infusion, 10% Niacinamide Concentrate for faster and more visible results.